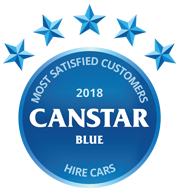 In a consumer-driven market, Budget has topped Canstar Blue’s customer satisfaction ratings for car hire in 2018. Budget was rated five stars across a number of categories, including vehicle availability, value for money and overall satisfaction. As handy as having your own car is, it unfortunately can’t go everywhere you go, with interstate family holidays and business trips forcing many of us to leave our wheels at home. And while there are still plenty of options when it comes to travelling in a different city – including public transport and handy ride-sharing apps such as Uber – some trips require a bit more freedom. Thankfully, car hire businesses offer that freedom, as well as the chance to drive something fresh. 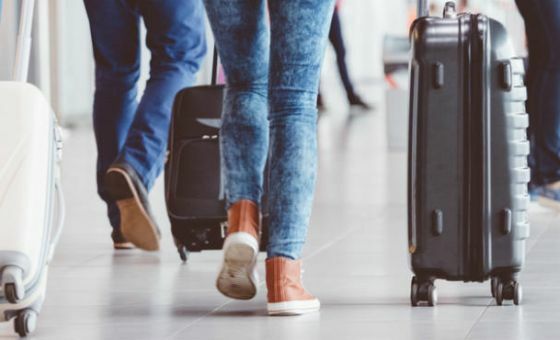 Australians are spoilt for choice when it comes to car hire, with a number of operators visible as soon as you step foot outside of the airport. But with providers offering a variety of cars, extras, insurance and discounts, it can quickly become a whirlwind of numbers and fine print, which can quickly dampen your holiday. With almost nine out of ten (87%) respondents to Canstar Blue’s latest rental car survey stating that leisure was their main reason for hiring a car, a stress-free experience will be high on the agenda. Budget has hire car centres across the globe, including more than 200 locations in Australia to help with your next family holiday, business trip and everything in between. 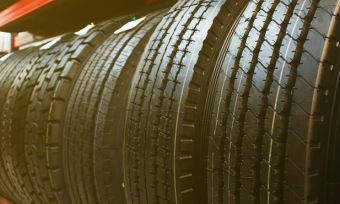 Offering a variety of cars – including luxury models for the adventurous type, people movers for the whole family, as well as small cars and 4WDs for those after something specific – Budget also offers truck hire, which includes utes, vans and small trucks, to help you with whatever you’ve got planned. 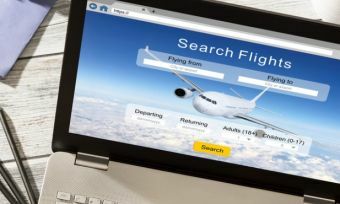 Budget generally accepts cash, credit and debit cards, cheques, and prepaid vouchers bought through travel agencies, although it’s best to confirm specific payment methods before you set out on your big adventure. Additionally, age restrictions may also apply in some locations, with those under 25 likely to incur additional costs. Budget offers plenty of information through its website, including the terms and conditions for you to peruse beforehand, making the decision less stressful when it comes to putting pen to paper. Offers are also outlined on Budget’s website, allowing families and businesses to save on their next trip. Bookings and car hire may be subject to availability, as well as how many other customers are looking to make the same trip, so be sure to book in advance. Avis has been operating for more than 70 years, with thousands of locations in more than 100 countries. And with over 100 centres in Australia, local consumers have plenty of options for hire cars regardless of where their next trip takes them. Fees and charges are outlined via the Avis website, with FAQs and car rental terms and conditions also available online to help with the planning stage of your next trip. To also assist with the planning, Avis outlines various promotional offers, with users potentially scoring portable Wi-Fi, vehicle upgrades and car hire for additional days, giving consumers plenty of options when it comes to that weekend away. The Avis mobile app will also streamline the rental process, allowing you to skip the queue when you go to pick up your rental car as well as manage or upgrade your booking on the go. Receipts and trip history are also available through the app, making it easier for businesses to track expenses. In its 100th year, Hertz has expanded to nearly 10,000 locations across the globe, operating in more than 150 countries. In Australia, Hertz has about 220 locations, helping Aussies get to where they need to be. And with a wide variety of vehicles available – including small cars, convertibles, hatchbacks and people movers with wheelchair access – Hertz may be the car hire company of choice for many travellers. Hertz offers discounts and partnerships to help save customers while on the road, while also providing reward programs for both individuals and businesses to make further savings. Hertz’ Gold Plus Rewards plan offers priority service at car hire locations, plus discounts and the opportunity to earn bonus points for free, future upgrades. Additionally, the Hertz Business Solutions program provides similar incentives for future trips, including lower accident excess costs, no surcharge for younger drivers, a dedicated billing website and the ability to earn Virgin Velocity points. 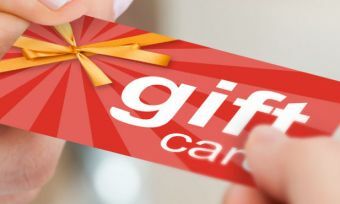 Last year’s ratings winner, Thrifty operates almost 200 centres right across Australia. With compact cars, SUVs, luxury models and even trucks available for hire. A driver’s licence or equivalent is necessary, with additional permits required for those looking to hire trucks or other larger vehicles. Thrifty has a minimum age of 21 to hire a vehicle, although those aged between 21 and 24 will incur an additional cost. Thrifty has a minimum 24 hour rental period, but also offers discounted rates for those looking for a long-term hire. For businesses with employees who regularly travel, Thrifty offers the ThriftyGo package, which includes a variety of potential savings options across rentals, accommodation and roadside assistance in addition to Virgin Velocity points and free vehicle upgrades. Similarly, ThriftyMove is said to be a viable option for businesses that regularly rent commercial vehicles, putting more money in your back pocket. Originating in France almost 70 years ago, Europcar now has locations in 140 countries worldwide, with 116 in Australia. With a number of vehicles available for hire, travellers can narrow down their options by transmission type, luggage space, seat numbers and emission levels, helping you to stay comfortable on the road. Europcar offers 24/7 service in most major airports, as well as offering 24-hour roadside assistance, with a number of offers and discounts available through its website to help those on a budget. Europcar also has a fleet of vans and trucks available for those looking to move house, or to help those likely to pack big for business trips. Europcar also provides a free worldwide loyalty program which includes multiple tiers to suit your rental habits, as well as give you the opportunity to save on your next rental. Sign up for the Privilege program is available through Europcar’s website. New Zealand owned Jucy, best known for its unique lime green and purple coloured minivans, also covers cars in its fleet for hire. Jucy stands out for its friendliness for younger drivers – you only need to be aged 18 or over to hire and drive a Jucy rental, rather than the minimum age of 21 with most other car hire companies. Redspot is an up and coming Australian player that’s really starting to make it big. The company launched in 1989 with just two vehicles and one entrepreneur, but has started catching up with its more established competitors. Keddy is a cost-conscious car hire service owned by Europcar, available only through tour operators, travel agents and online booking intermediaries. Dollar (also known as Dollar Rent A Car) is a subsidiary of Hertz, which in Australia works in partnership with fellow Hertz subsidiary Thrifty. Dollar has more than 600 locations worldwide, with over 80 of those found in metropolitan and regional locations across Australia. While the majority of its business is in campervan hire, Alpha also offers car hire from a number of locations in Brisbane, Gold Coast, Sunshine Coast, Sydney, Melbourne and Adelaide. Enterprise, while new to Australia with only 32 locations, is globally massive and is the largest hire car company in its home country the USA. Enterprise is focused on the local market, with cars for short trips or short-term replacements. 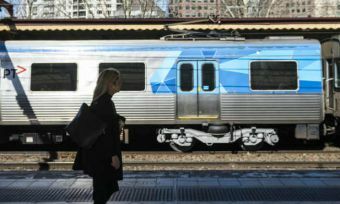 East Coast, unsurprisingly, services major cities along the east coast of Australia, as well as Adelaide and Tasmania. The company claims that as one of the largest independent car hire companies in Australia, customers can expect lower prices with better value for money. Andy’s Auto Rentals operates in a number of locations across Brisbane and Gold Coast, with the fleet including a range of different cars, vans, trucks and other utility vehicles. When it comes to selecting your hire car, you’ll have to keep in mind a few things in order to ensure that you’re safe on the road, as well as getting the most bang for your buck. The first thing to do to avoid any nasty surprises when hiring a car is to read the contract. And with most car hire companies publishing their terms and conditions online, there isn’t any reason why you shouldn’t read them before agreeing to hire a vehicle. Almost a third (31%) of respondents to our survey stated that they found the actual cost of hiring the car was more than what they’d originally been quoted, with almost one in five (18%) made to pay additional charges after returning the vehicle, meaning there are plenty of drivers getting caught out with the fine print or the technicalities of car hire. A good way to avoid unnecessary penalties is to ensure the car is working fine before you drive away, which includes reading the vehicle’s condition report, checking for existing problems or damage, as well as taking photos of existing problems so that you’re not lumped with the repair cost. Do you need hire car insurance? Insurance can be a scary subject if you’re not entirely sure where you stand. When it comes to hiring a car, it is not compulsory to buy insurance, but it is highly recommended, because failing to do so could turn into a costly mistake. The car you hire will be insured against any damage caused, but the excess on the policy can run into the thousands. And who pays for the excess in the event of an accident? You do. Insurance is there to cover the excess just in case something goes wrong. However, the real question is: Should you buy insurance from the hire car operator? Our survey found that more than half (58%) of customers bought insurance from the rental company they booked through, with about one in four (23%) feeling it was unnecessarily upsold to them. While it can be convenient to take out insurance with the operator when you collect your vehicle, it can also be costly. That’s why it’s a good idea to do your homework in advance. Did you know many domestic travel insurance policies will cover you for hire car excess? Just under half (47%) of respondents to our survey were aware. That’s right, you can effectively kill two insurance birds with one stone, because it’s a good idea to take out travel insurance when you go exploring, and definitely the right move to cover yourself against hire car damage. Travel insurance is likely to prove cheaper than insurance from the hire car company, plus you will get the extra cover. If you don’t want to take out travel insurance, but do want to be protected from excess liability, you could also consider car rental excess insurance from a third party. There are a lot of things to consider when renting a car, so it pays to do your research first. The fact that you’ve found this page suggests you’re doing your bit, now you just need to pick a hire car operator that lives up to its end of the bargain. Canstar Blue surveyed 3,044 Australian adults across a range of categories to measure and track customer satisfaction, via ISO 26362 accredited research panels managed by Qualtrics. The outcomes reported are the results from customers within the survey group who have hired a car within Australia in the last 12 months – in this case, 669 people.